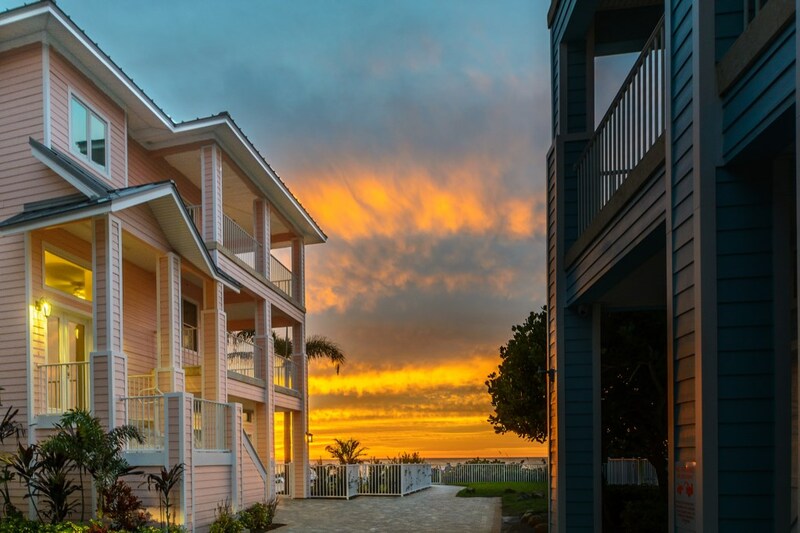 Ocean Sands is the ultimate beachfront getaway for families and friends who want to escape into paradise. 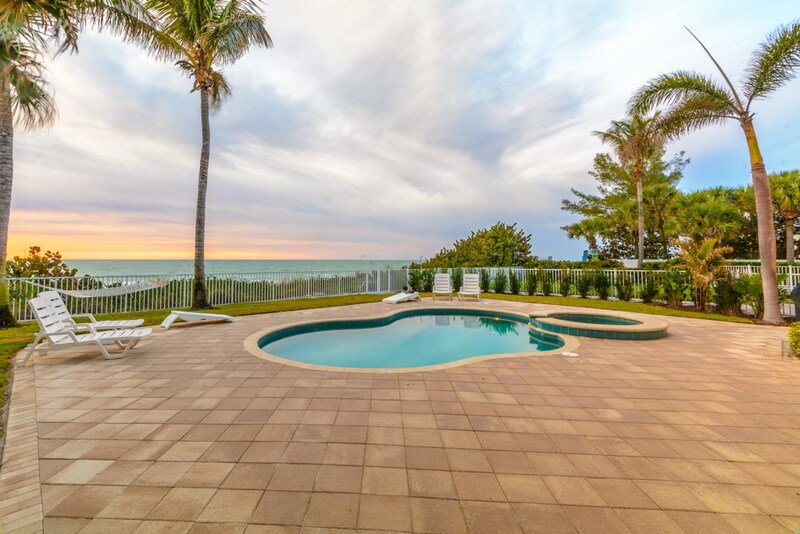 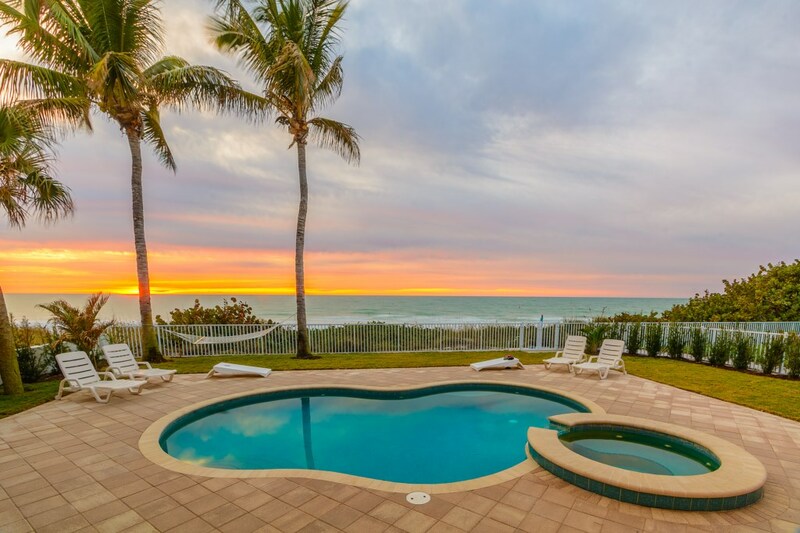 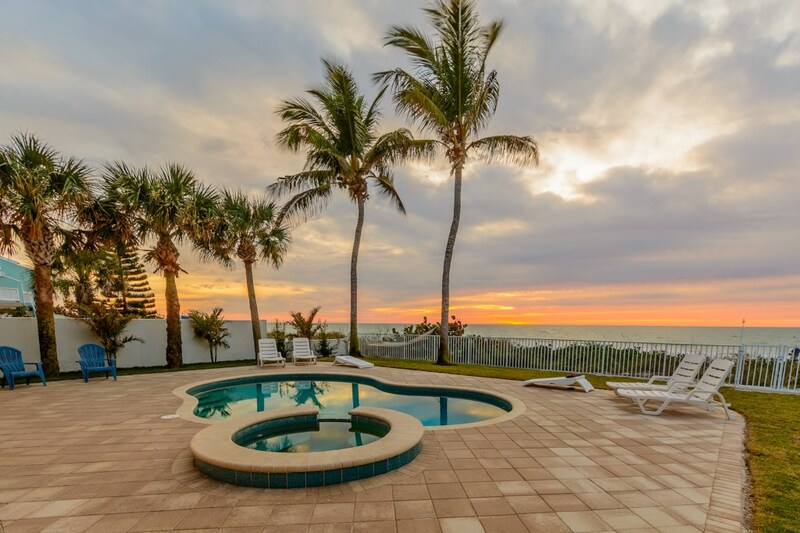 This three-story home is located in the prestigious beach community of Westwinds, in Indian Rocks Beach. 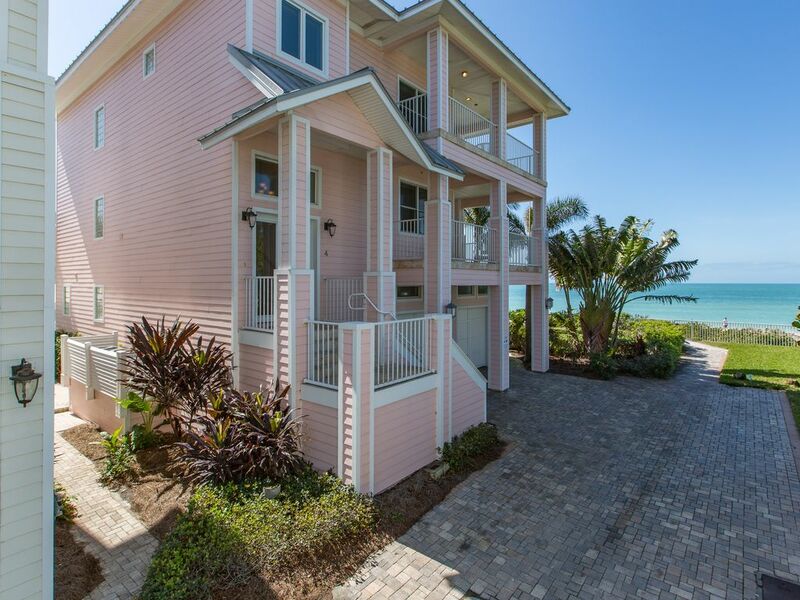 This stunning home sits directly on the sand! 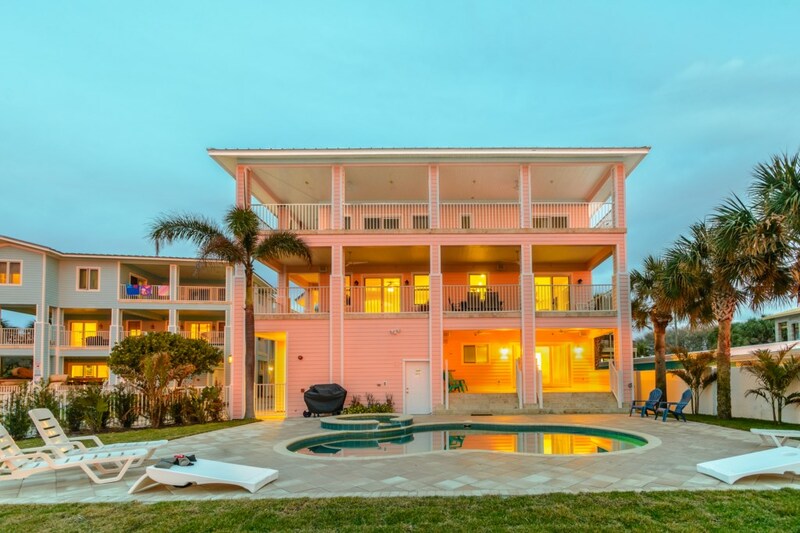 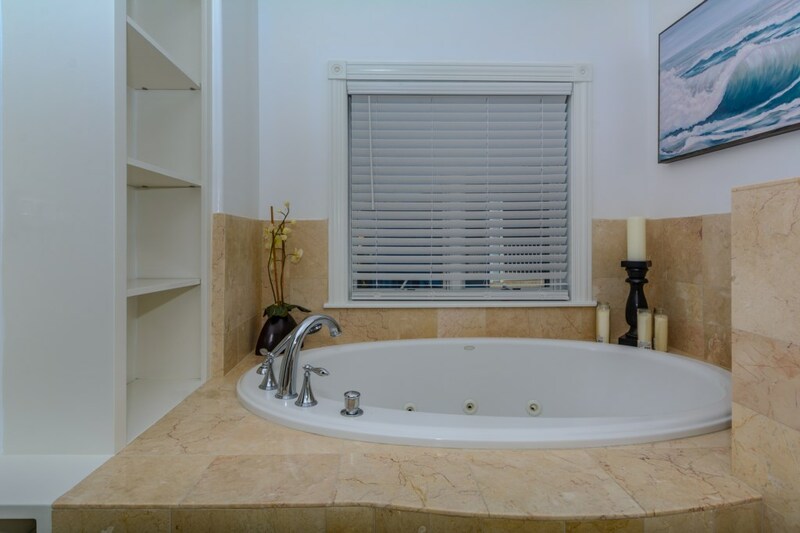 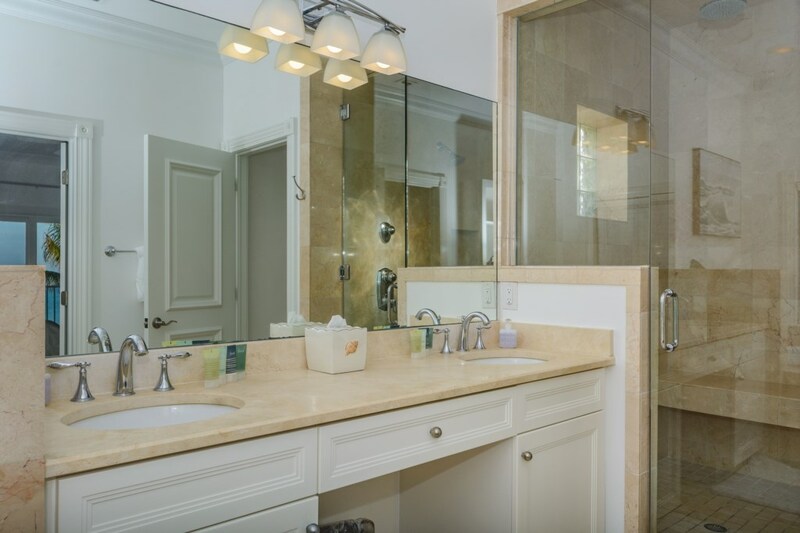 There are a total of 4 bedrooms and 3.5 bathrooms with 3000 square feet of space for entertainment. 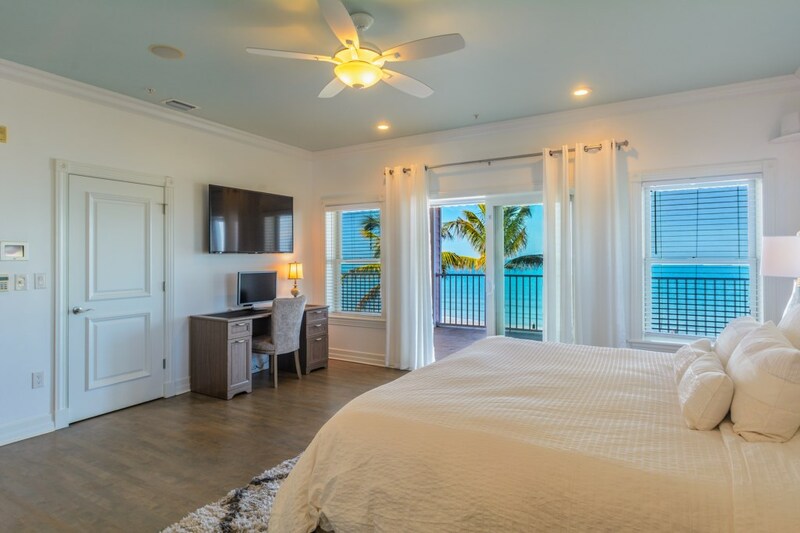 Our Ocean Sands has sensational views from: first level bedroom, living and dining areas, second and master bedroom located on the third floor and best views out of all are from the balconies and the private pool! 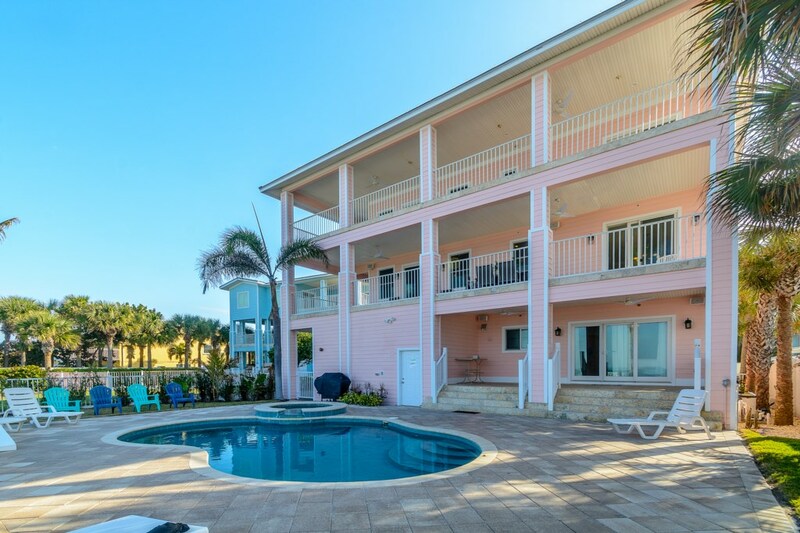 Ground Level features a two car garage, laundry area, gulf front pool and the first bedroom. 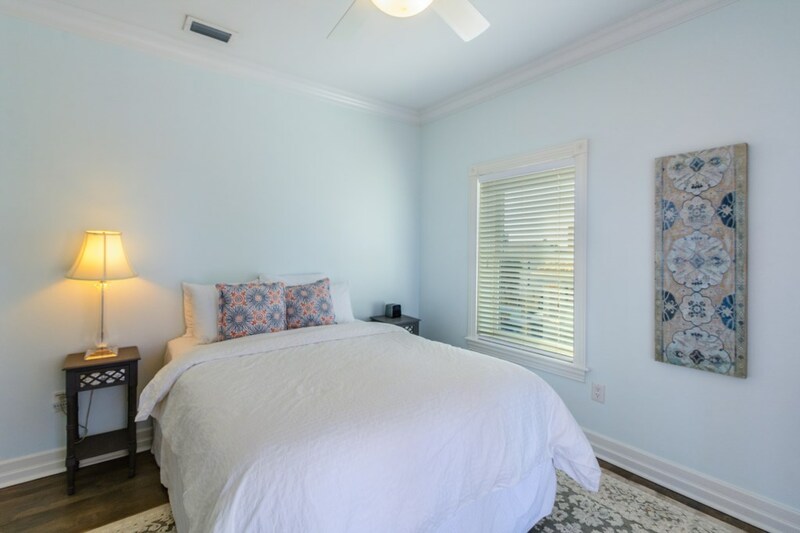 First bedroom has two Queen size beds with a private full bathroom. 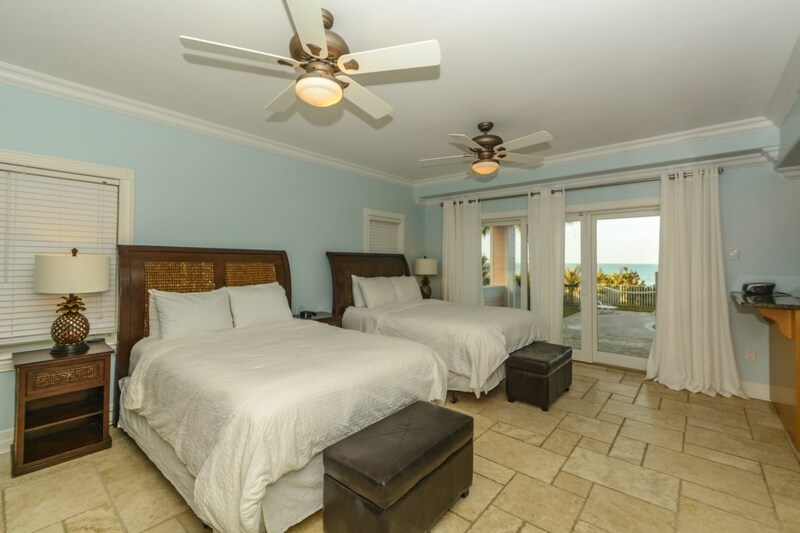 This bedroom has direct access to the pool as well. 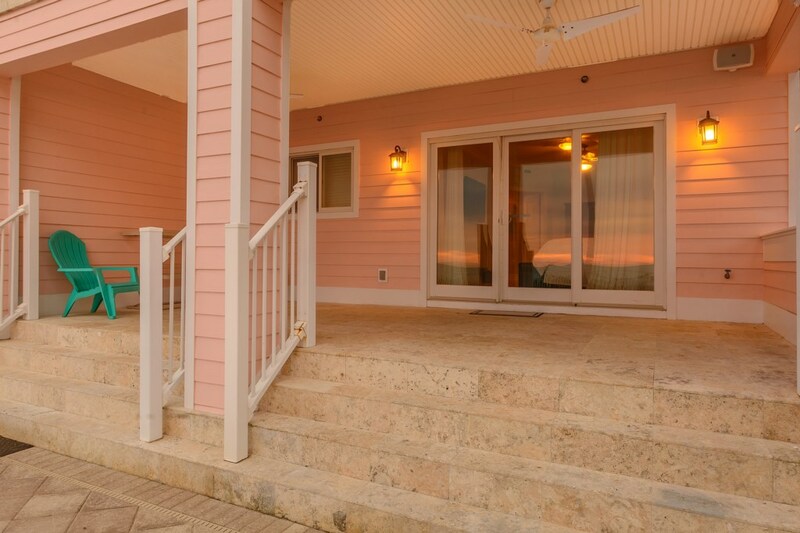 Second level features the spacious open living area, dining area and the gourmet kitchen, a half bathroom and a beachfront balcony. 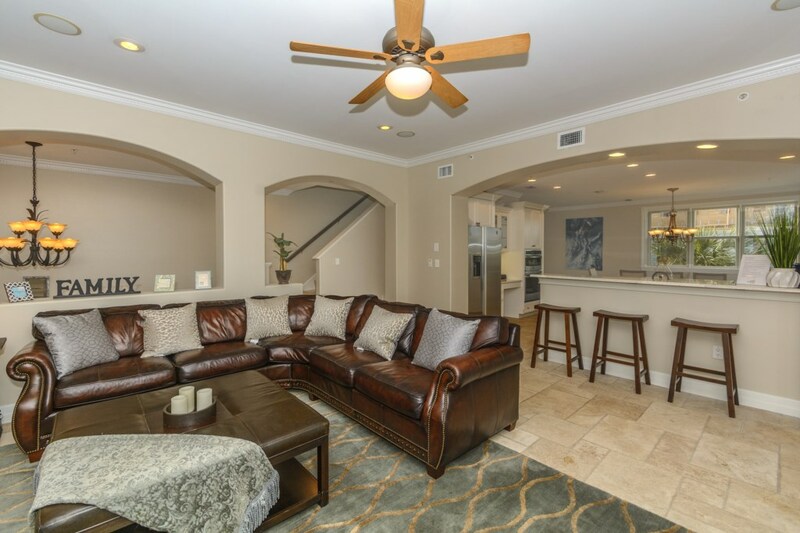 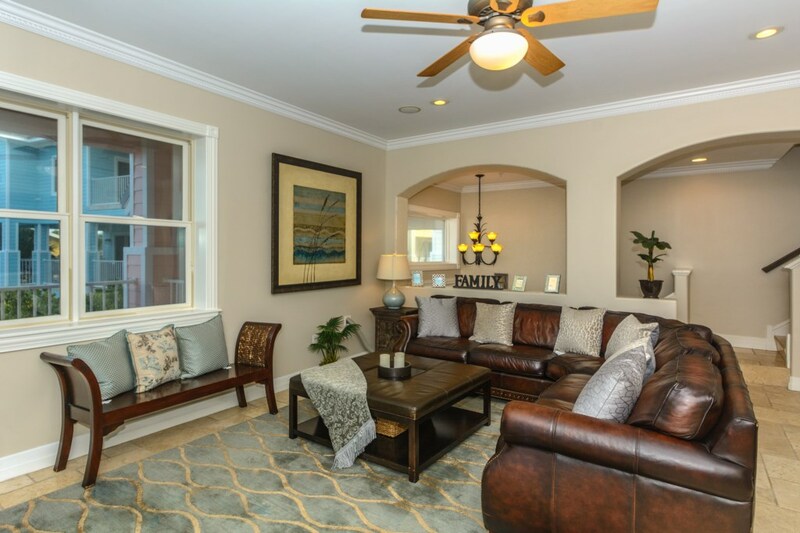 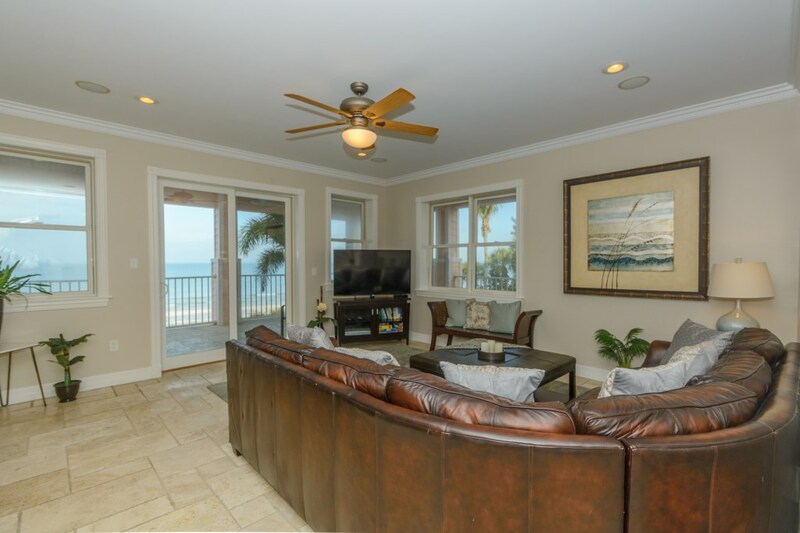 The main living area has comfortable couches with a wide screen tv and access to the gulf front balconies. 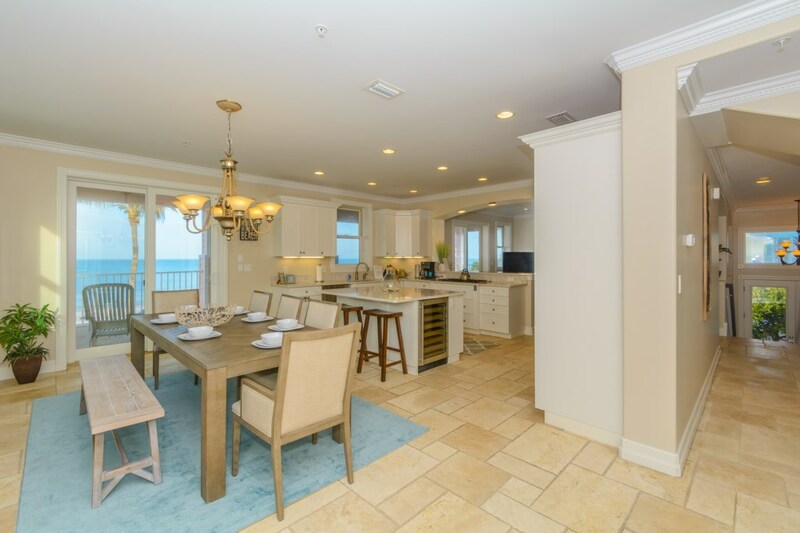 The living and dining area take full advantage of its beachfront setting with sliding glass doors that face the gulf. 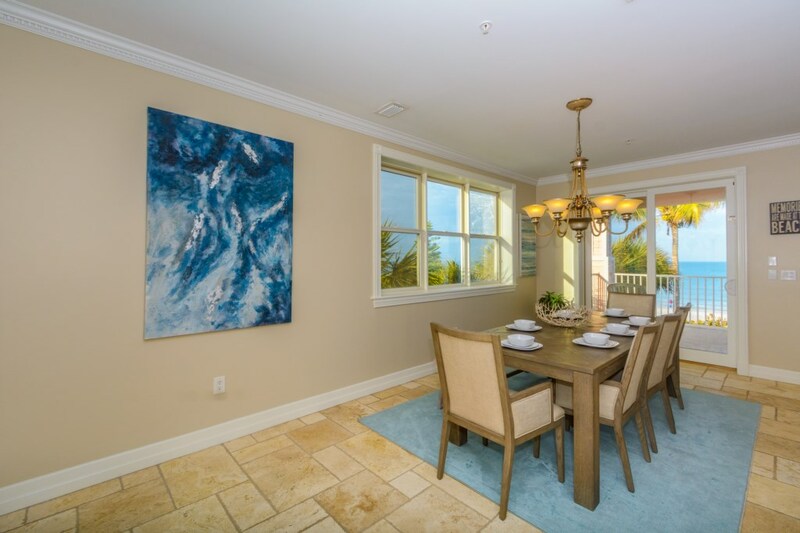 Living room adjoins a spacious dining area which seats 8 guests at the dining table and 4 more on the island. 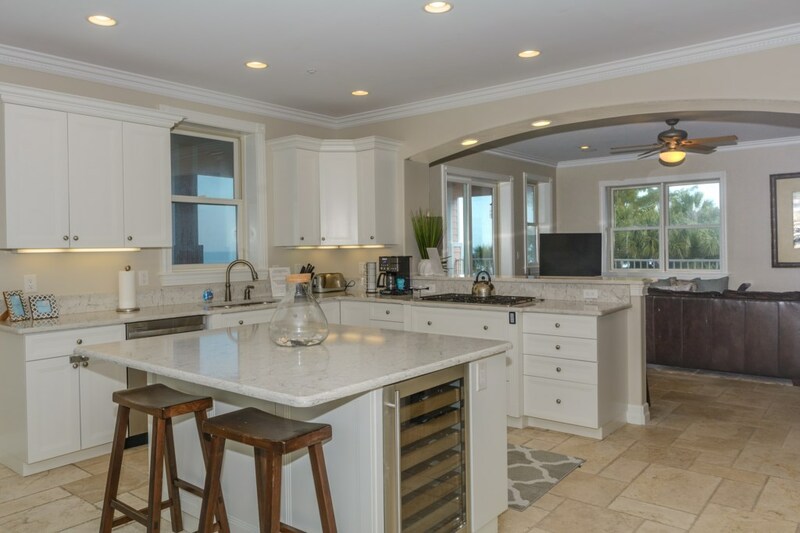 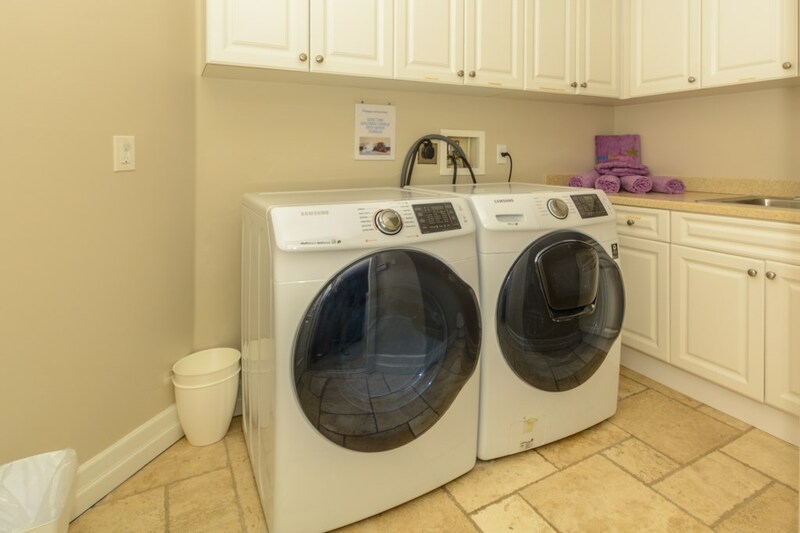 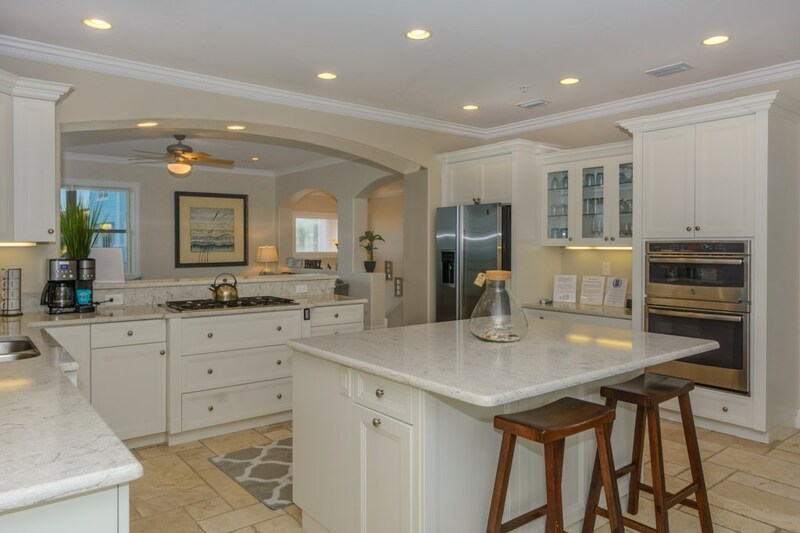 The fully equipped kitchen has stainless steel appliances, beautiful large island and everything you would need to cook a meal for your friends and family. 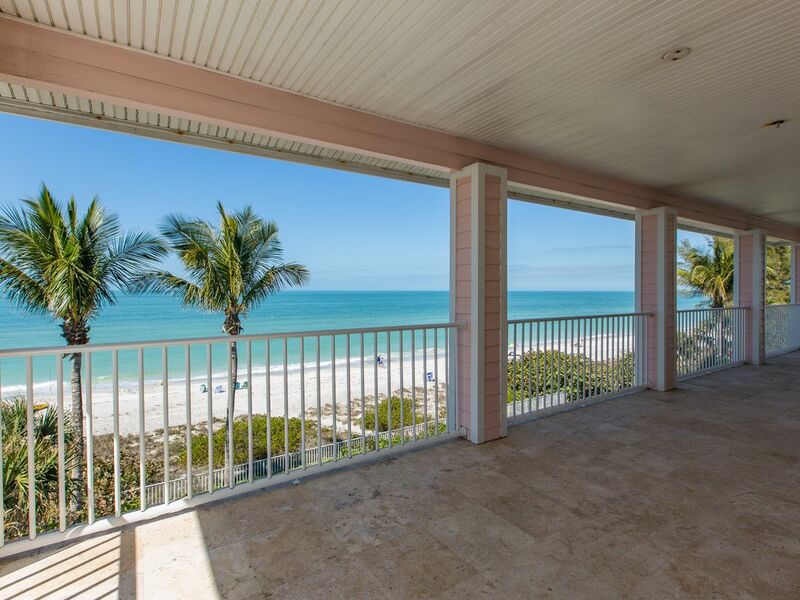 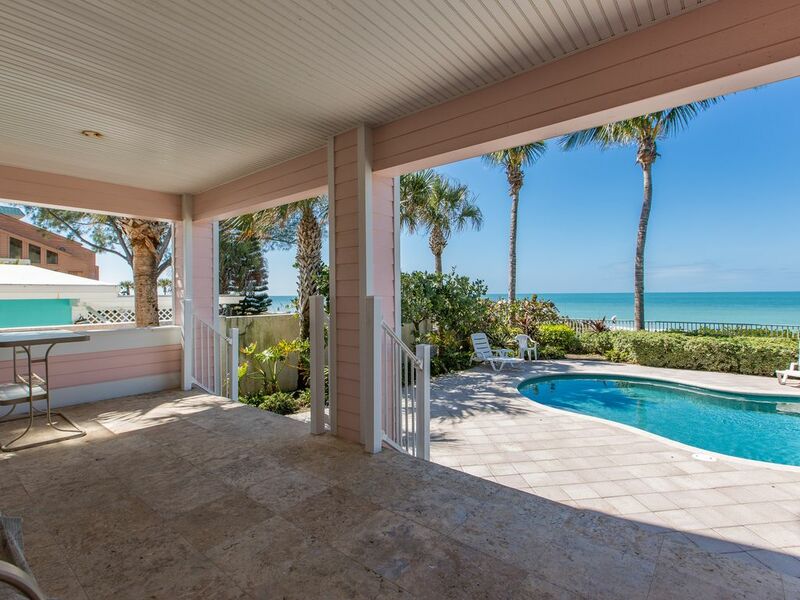 Multiple doors from the second and third floor lead out to a breezy beachfront balcony. 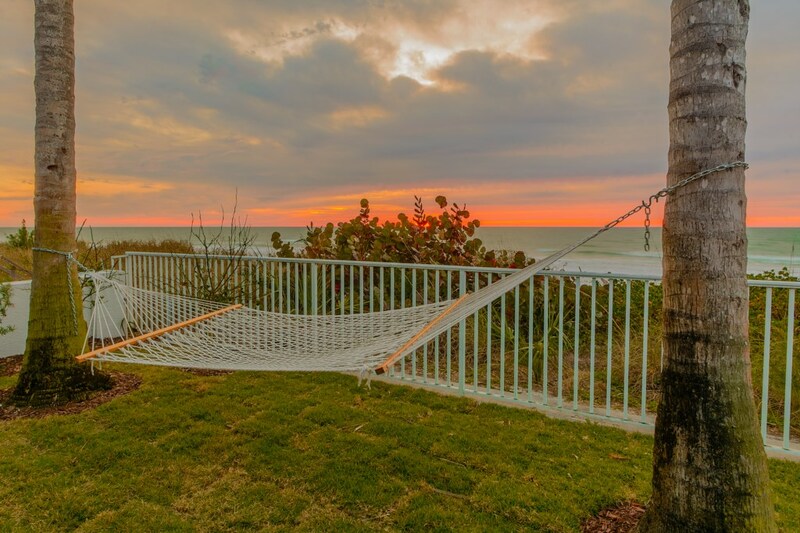 You will find yourself wanting to spend a lot of time here enjoying the views, sipping on your favorite drink and listening to the soothing surf sounds when you’re not poolside or down on the beach below. 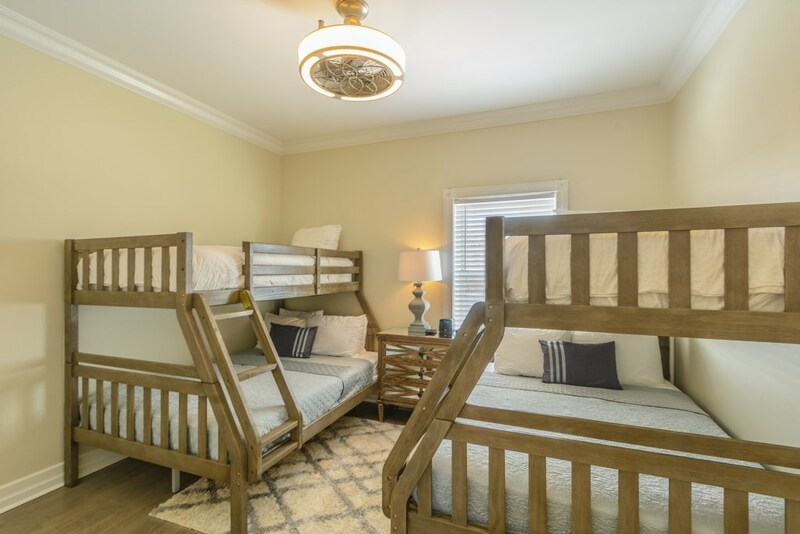 Third level features the second bedroom with two bunk beds (bottom is a full and top is a twin). 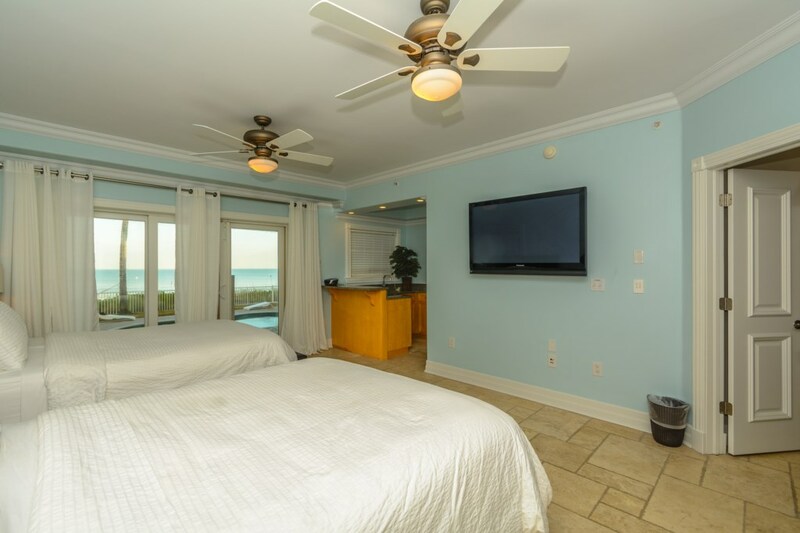 Bottom bunks have a built in tv. 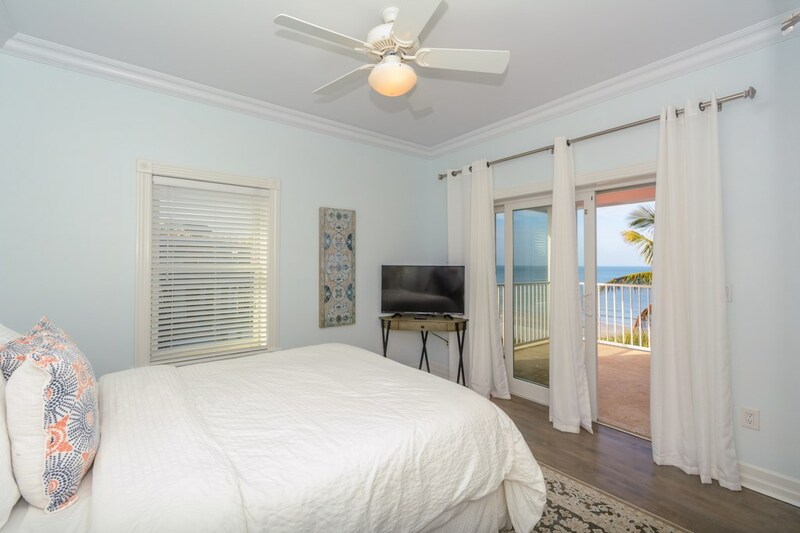 Third bedroom with a Queen size bed and access to the balcony. 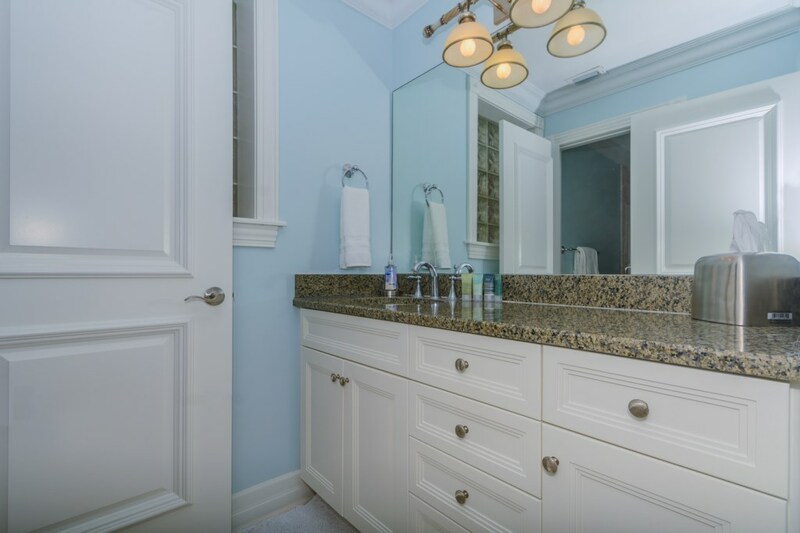 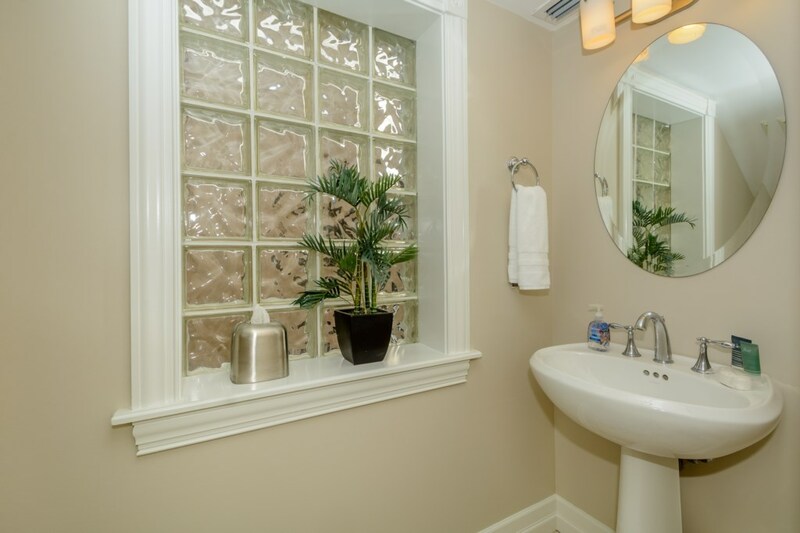 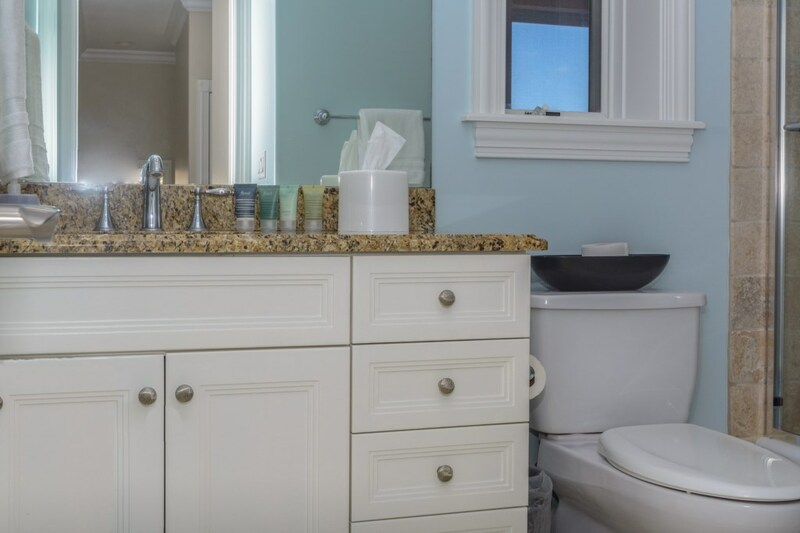 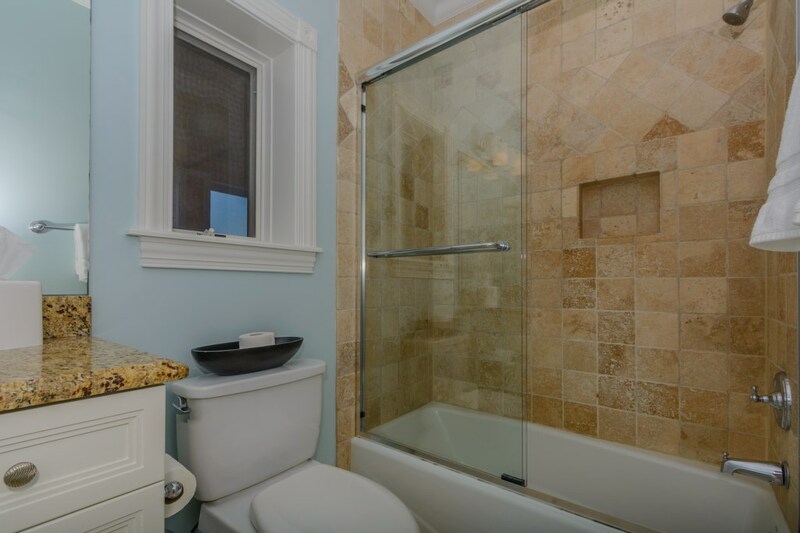 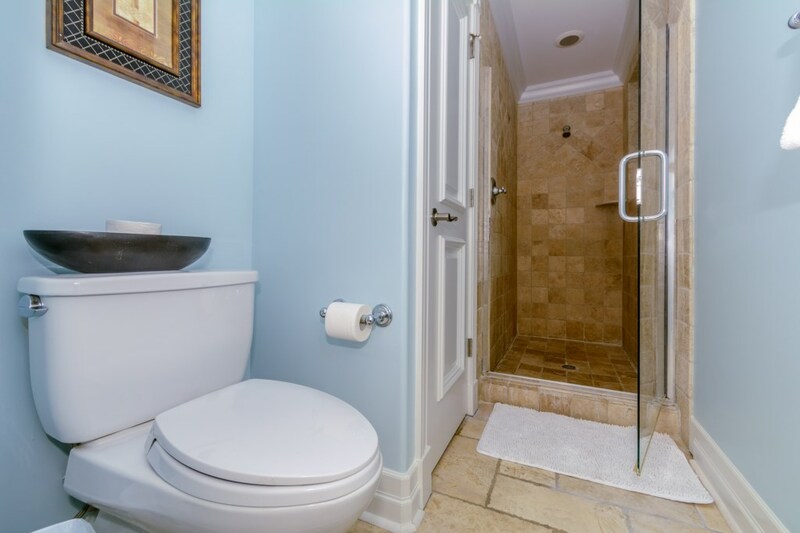 There is a full hallway bathroom that the second and third bedroom share. 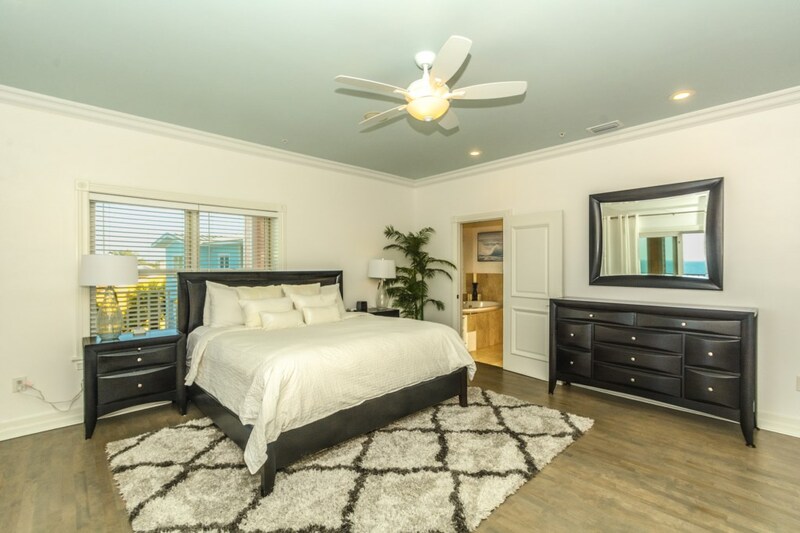 The master bedroom has a King size bed with an ensuite bathroom and access to the balcony. 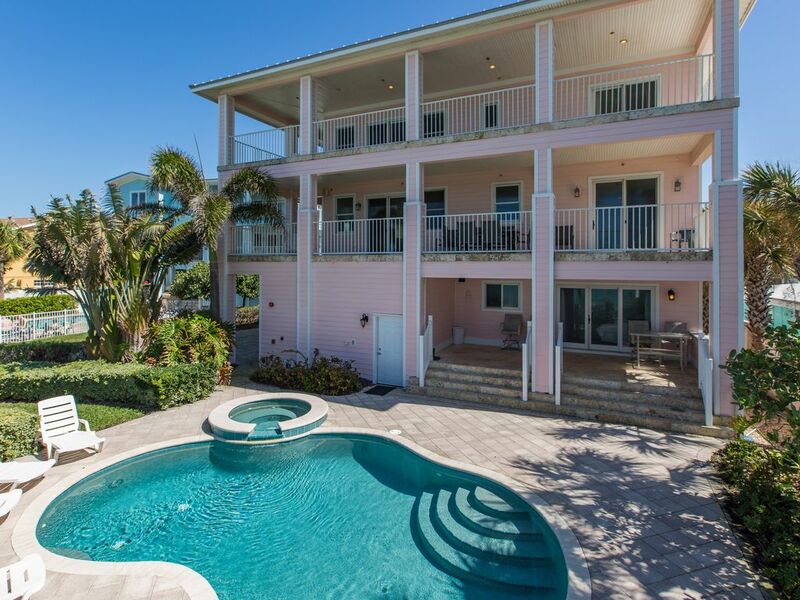 This vacation home that can sleep up to 12 fortunate guests - and all in beds. 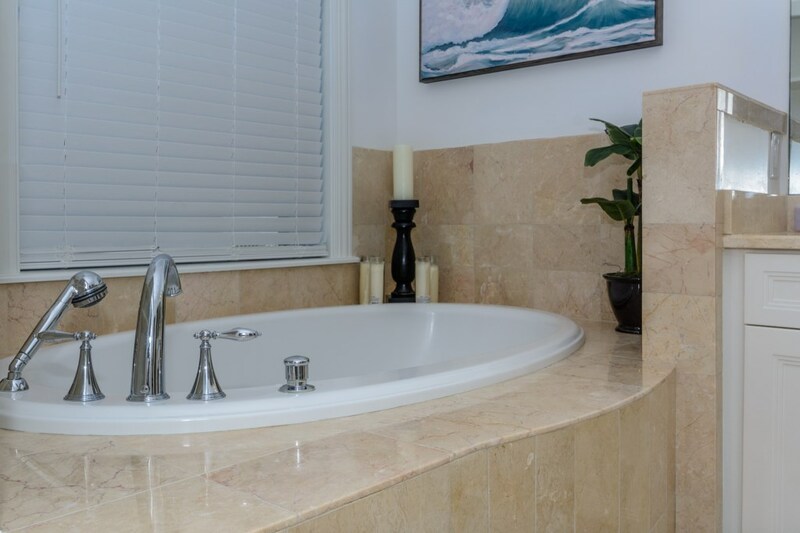 Coastal furnishings, designed for comfort, modern amenities are just a few things that our Ocean Sands will offer you! 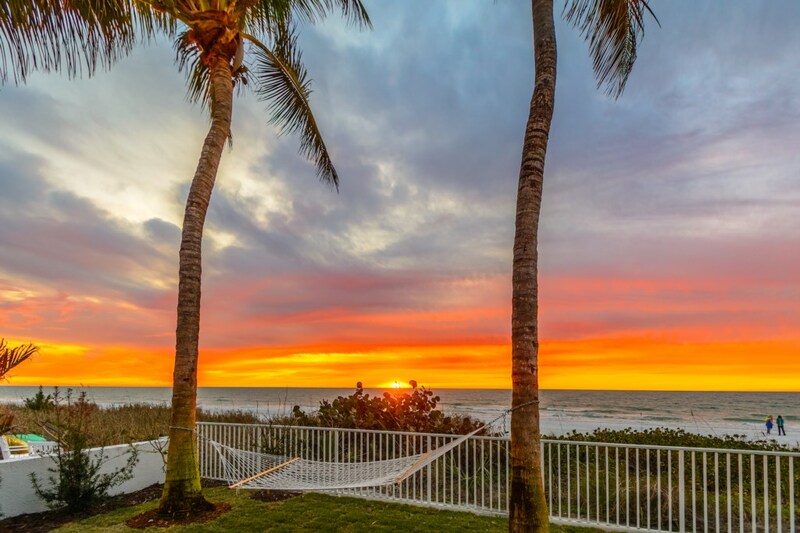 This makes it a prime destination for memorable family beach reunions, celebrations, special birthdays, hallmark anniversaries, church retreats, and corporate events. 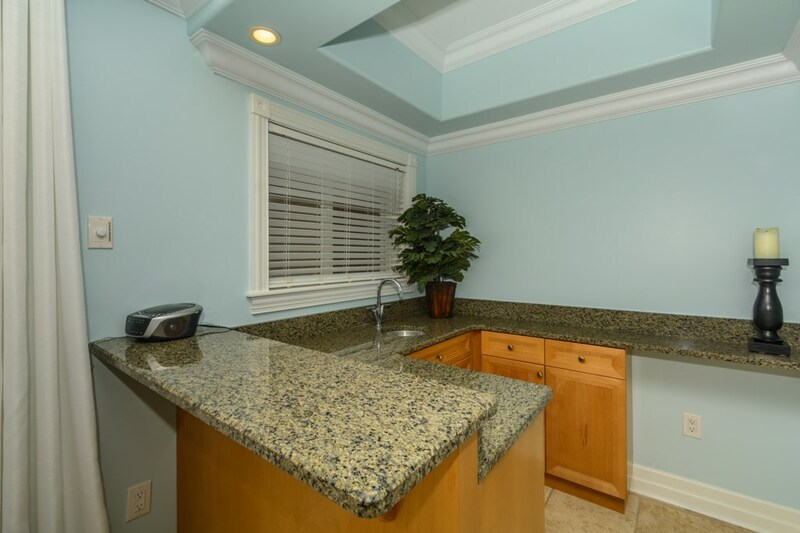 Outside there is a gas grill that sits next to the lovely sparkling private pool and the pavered patio. 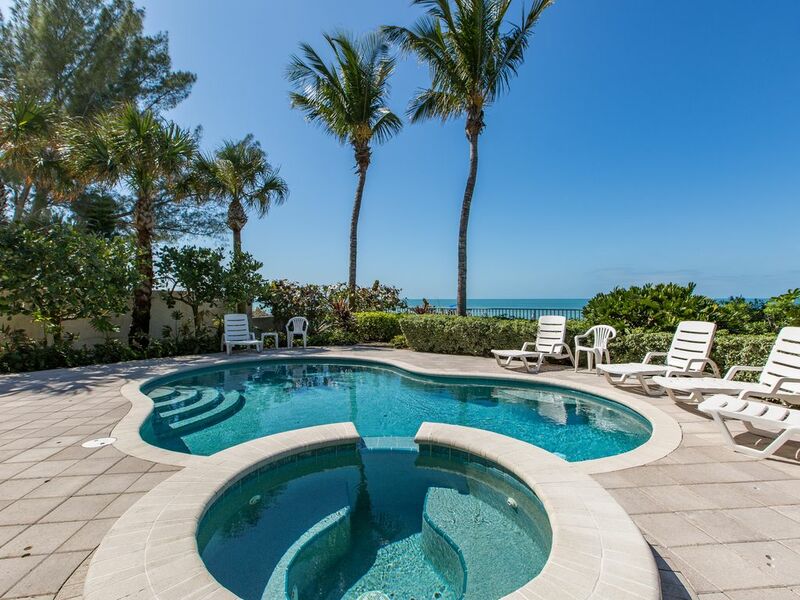 It is surrounded by lush landscaping and an assortment of palm trees creating an oasis-like private paradise. 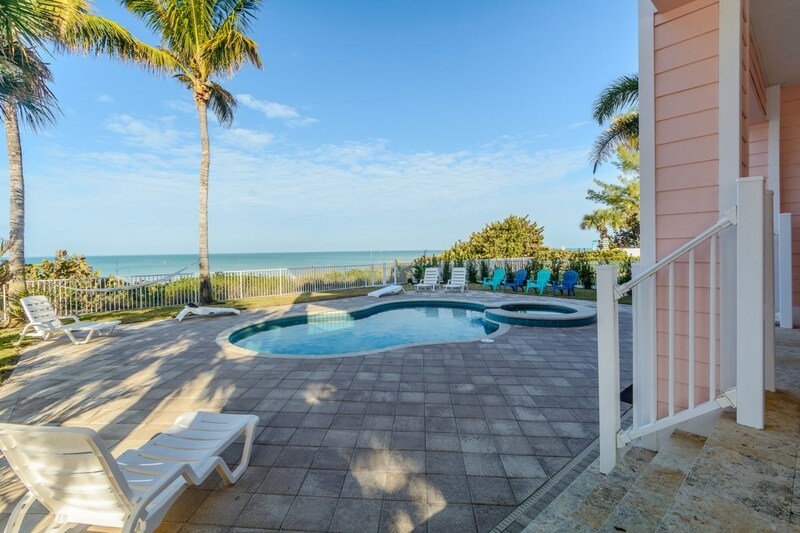 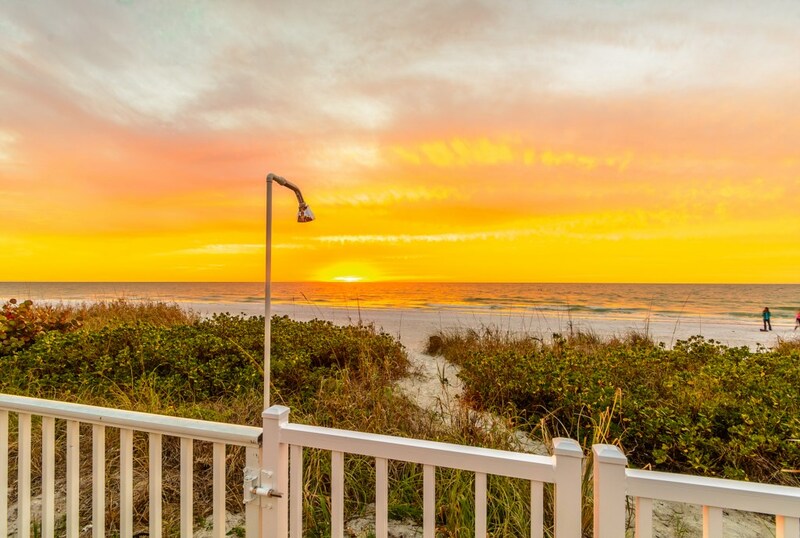 Indian Rocks Beach is a great location that is halfway between Clearwater Beach and St Pete Beach. 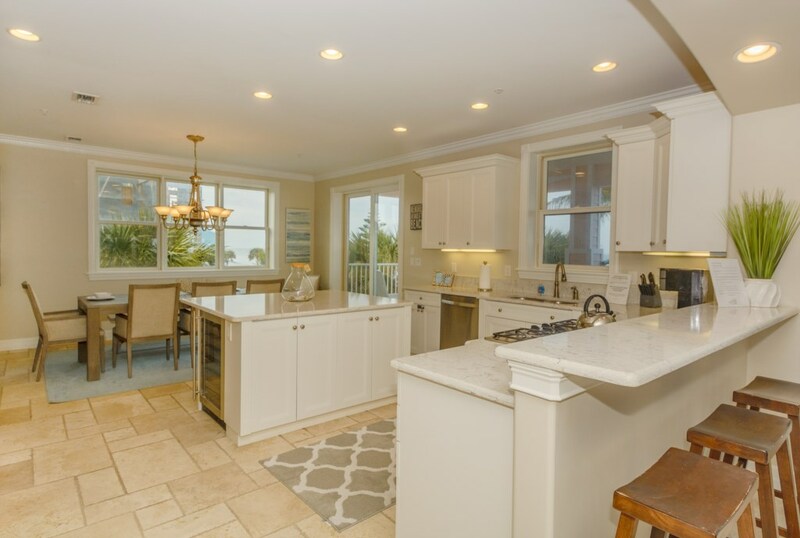 There are restaurants and shops walking distance to this property.